Dr. Jacob Myers and staff are committed to providing children with the highest standard of dental care in a safe and compassionate environment. We provide comprehensive pediatric dentistry in East Lansing & Dewitt to help our patients achieve and maintain good dental health. Facing a dental emergency with your child can be frightening for both you and your child. But learning how to properly handle a dental injury or accident can assist in making your child feel more comfortable until you can get the help you need from your dentist or emergency room. Below are some of the most common types of dental emergencies along with the information needed to respond appropriately. If your child has lost a permanent tooth due to an accident, it is vital to think quickly and respond immediately as it may be possible to save the tooth. Pick up the tooth by the crown and rinse it off with water and try reinserting it into the socket. If you cannot place the tooth back into the socket, put the tooth in a cup of cold milk and contact our office immediately. If a tooth loosens or moves out of position, treatment needs to occur within a few hours so contact our office for an emergency appointment. However, if there is uncontrollable bleeding, seek treatment right away at the nearest emergency room. 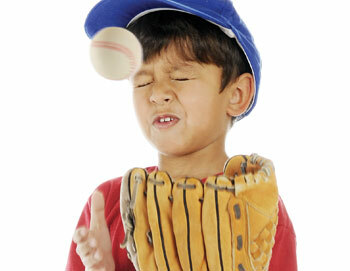 Fortunately, most dental injuries children experience are less severe than knocked out or loosened teeth. Chipped teeth are the most common traumatic dental injuries among kids. If your child chips a tooth, try to find the piece that came off as it is possible it can be reattached. Call our office at (517) 337-0032 to schedule an appointment as soon as possible and be sure to bring the chipped piece with you. If your child is experiencing severe or persistent tooth pain, he/she must be seen by your pediatric dentist right away. While tooth decay is the leading cause of tooth pain, other things can also cause tooth pain including sensitive teeth due to receding gums or a tooth that is cracked. Therefore, the only way to know for sure what’s causing your child’s tooth pain is to have your child examined by one of our pediatric dentists. The gums can be damaged in accidents, while playing sports or by scalding liquids and accidental bites. The gums can also be injured when foreign bodies become lodged below the gum line wherein a painful and serious abscess can occur. A gum abscess is a localized collection of pus within the gum tissue that is caused by an infection, requiring immediate treatment at our office. Rinsing out the mouth with diluted salt water can help with gum injuries. If debris is visible, it should be gently removed with dental floss. If this cannot be accomplished easily, call our office for an appointment so the area does not become damaged or infected. While it is common for patients wearing braces to feel some discomfort as the teeth are gradually moving into their new positions, it is rare to have a true orthodontic emergency. But if an emergency does occur that traumatizes or injures the face, mouth or teeth, seek immediate care at our office or an emergency room. If any parts of the braces become loose, broken or cause irritation, contact your orthodontist for advice.